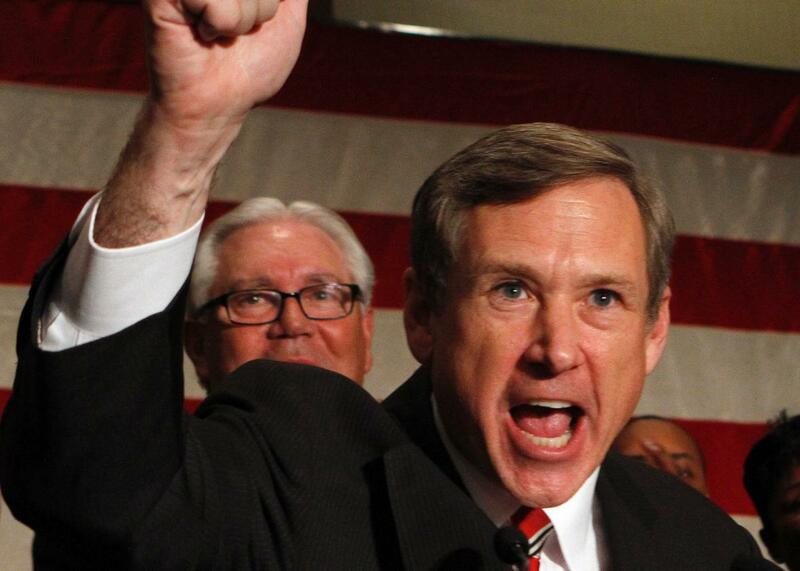 Human Rights Campaign finally withdraws Mark Kirk endorsement. On Saturday, the Human Rights Campaign—the country’s most influential LGBTQ advocacy organization—officially withdrew its endorsement of Republican Sen. Mark Kirk of Illinois. During a Thursday night debate, Kirk had mocked his opponent, Rep. Tammy Duckworth, for noting that “my family has served this nation in uniform going back to the Revolution. I’m a Daughter of the American Revolution.” Kirk responded to this statement with a racist quip, telling Duckworth: “I had forgotten that your parents came all the way from Thailand to serve George Washington.” In fact, Duckworth’s family has served in uniform since the Revolution, a fact that Kirk appeared to reject because her mother is a Thai immigrant of Chinese heritage. Leadership is about more than the legislation one sponsors and the votes one casts. On Thursday night, Senator Kirk’s comments about his opponent’s heritage were deeply offensive and racist. His attempt to use Congresswoman Tammy Duckworth’s race as a means to undermine her family’s American heritage and patriotism is beyond reprehensible. Yesterday, Senator Kirk tweeted an apology that failed to adequately address the real harm and magnitude of his words. So today, following a vote by our board’s committee, the Human Rights Campaign withdrew our support of Senator Kirk. Attacking someone because of her race and ethnicity is inexcusable for anyone, but especially for a sitting U.S. Senator. The diversity of our movement is our greatest strength, and Senator Kirk’s remarks were an affront to our most fundamental values. We have therefore voted to endorse Congresswoman Tammy Duckworth, who has been a strong LGBTQ ally in the House of Representatives, and HRC will contribute the maximum amount to her campaign. We look forward to working with her in the Senate to secure full federal equality for all LGBTQ Americans. I am happy to hear that after considerable deliberation, the HRC concluded that a politician who would deride his opponent on account of her race should not be elected to the U.S. Senate. I am still puzzled, however, by the fact that this decision took a full day-and-a-half and that, in the meantime, the HRC publicly maintained its endorsement of Kirk. An advocacy group that purports to support equality for all should not have to puzzle extensively over the question of whether a cruel, outwardly racist comment disqualifies a politician from elective office—especially when his opponent has a superior record on LGBTQ equality. The HRC may deserve a bit of credit for eventually making the right decision. But it cannot claim to have taken the moral high ground in this fracas. At the very least, the organization has now made it clear that racism is not an instantly disqualifying characteristic in an otherwise pro-LGBTQ politician. That, to my mind, remains unacceptable. A civil rights group that does not demand tolerance and respect for all people does not deserve to call itself a civil rights group in the first place.